MC Mercer received an MA (2014) and PhD (2018) from the clinical psychology program at Northern Illinois University. She completed a predoctoral internship at the Bay Pines Veterans Affairs Healthcare System. She earned her BA (2010) in Psychology from Maryville College in Maryville, Tennessee. She is currently working as a postdoctoral fellow at the Bay Pines Veterans Affairs Healthcare System with an emphasis on Substance Abuse and PTSD. MC’s research interests are focused on the etiology of sexual victimization. Specifically, she is interested in how people recognize the risk for sexual assault perpetration and victimization, and how the social environment impacts these decisions. MC’s thesis explored the impact of the social environment on risk recognition, and her dissertation explored how cognitive appraisals of the social environment influence men’s and women’s ability to recognize risk for sexual assault. Clinically, MC has focused on Veteran’s issues, including military sexual trauma, PTSD, and comorbid disorders. 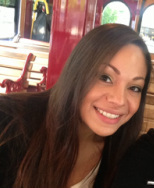 Melissa London completed an APA-accredited internship at the VA Palo Alto. Her dissertation was defended in the fall of 2016. She earned her B.A. in Psychology and Sociology in 2011 from Hunter College, of the City University of New York. Melissa’s interest in interpersonal violence and trauma emerged from her various clinical experiences as well her research. Before coming to NIU, Melissa worked as a Case Manager for homeless persons with mental illnesses and a Substance Abuse Counselor in a Chemical Dependence Outpatient Program. Melissa’s research interests broadly include predicting onsets of disorders related to trauma, examining coping strategies and other protective factors to promote resilience from trauma, as well as understanding the cultural variation in response to and during recovery from interpersonal violence and trauma. Specifically, her graduate program of research has focused on the role of cognitive and emotion regulation processes. Her master's thesis examined the role of cognitive schemas and processing styles in the perception of positive psychological changes following interpersonal violence. Melissa's ongoing dissertation project aims to explore the impact of attentional processes on the effectiveness of emotion regulation strategies in reducing distress following trauma. 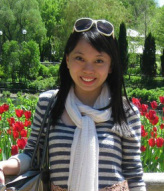 Ban Hong (Phylice) Lim received her Ph.D. in Clinical Psychology at Northern Illinois University. She earned her BA in psychology (with a minor in Social and Behavioral Sciences Methodology) from the University of Kansas. During her graduate studies, Phylice’s research program has focused on exploring pathogeneses of posttrauma pathology, as well as factors (e.g., meaning-making strategies and resilience variables) that may facilitate or hinder mental health following trauma. In her master’s thesis, Phylice explored the roles of more proximal factors (self-worth, self-blame, availability of support, and perceived control) through which insecure attachment may induce negative affect in a sample of trauma survivors. In her dissertation project, Phylice sought to clarify whether negative affect resulting from exposure to a stressful film could be partially attributed to skepticism about one’s memory. Her dissertation was successfully defended in April of 2016. Phylice completed an APA accredited internship at the St. Louis Psychological Internship Consortium where she has continued on as a postdoctoral fellow. Andrew Sherrill received an M.A. (2013) and Ph.D. (2016) from the clinical psychology program at Northern Illinois University. He completed a predoctoral internship at the Veterans Affairs Puget Sound Health Care System (American Lake Division). Prior to graduate school, he earned a Psychology B.S. (2008) and an English B.A. (2008) from the University of Central Florida. He is currently working as postdoctoral fellow at the Veterans Program at Emory University School of Medicine. Andrew’s research interests include understanding peritraumatic perceptual systems and posttraumatic memory systems. His approach can be viewed as a synthesis of trauma psychology, cognitive science, and contextual behavioral science, which are levels of analysis that can be viewed as complimentary, not contradictory. He is particularly interested in better understanding the complexity of contextual factors surrounding traumatic events and the inherent perceptual subjectivity of each unique brain. His studies attempt to probe the perspectives of trauma-exposed individuals (armed service members, perpetrators, victims, and third parties) to better understand how minds process the unfolding of a traumatic event and subsequently retrieve encoded information. Andrew’s previous studies include experimental and qualitative projects that ask why “provocation” does not always lead to violence, “risk signals” do not always lead to deterrence, and “trauma” does not always lead to memory disturbance and other posttraumatic stress symptoms. Together, the aim of these studies is to better understand the moment-to-moment construal processes and contextual constraints that engender such clinically relevant perceptual subjectivity. He has published and presented original empirical work on peritraumatic encoding disruption, situational risk recognition, perceptions of intentionality, attributions of abuse, expected outcomes of violence, and the impact of inhibitive cues and provocative cues on aggressive responding. The results highlight important ways in which clinically relevant behaviors (e.g., aggression and avoidance) and memory characteristics (e.g., diminished retrieval) are functions of specific contextual factors and how certain cognitive mechanisms (e.g., mental model construction, perceptual predictions, and event segmentation) mediate the behavioral effects of contextual factors. During his clinical internship and postdoctoral fellowship, Andrew's research interests have extended from the laboratory to clinical trials. He is particularly interested in using recent insights from the basic research on event cognition and emotion to better understand (a) how evidence-based treatments work and (b) how to best package and deliver "active ingredients." He is currently pursuing studies that aim to better understand mechanisms of change (e.g., psychological flexibility, emotion regulation, and inhibitory learning) within behavioral interventions for trauma-exposed populations (e.g., trauma-focused exposure therapies and third-wave behavior therapies). Christine Valdez received her Ph.D. in Clinical Psychology at Northern Illinois University. She earned her B.A. in Psychology in 2008 from California State University, East Bay. There her research spanned the area of traumatic life experiences, with a particular focus on intimate partner violence and the role of attachment in abusive relationships. Before coming to NIU, Christine worked in research at the VA National Center for Posttraumatic Stress Disorder in Palo Alto, California. She worked on projects exploring veteran’s healthcare utilization and treatment outcome with the goal of improving VA services to aid recovery of veterans with posttraumatic stress disorder. Christine's broad research interests include interpersonal trauma and revictimization. In particular, she is interested in studying cognitive and emotional processes that contribute to posttraumatic sequelae, and recovery from trauma. Her thesis project examined coping strategies as they relate to gender disparities in PTSD, focusing on gender role socialization and thought control strategies among trauma survivors, Her dissertation examined the role of ruminative processes in posttraumatic stress. Christine completed an APA accredited internship at the University of California, San Francisco where she continued as a postdoctoral fellow for one year. Christine started her position as Assistant Professor of Psychology at California State University Monterey Bay (CSUMB) in Fall of 2016. Rachel attended Birmingham-Southern College (BSC), a small liberal arts college in Alabama, for her undergraduate training. As an undergraduate, she worked on the Clinical Psychology Research Team with Dr. Tricia Witte, and studied IPV, sexual victimization, and risk recognition. Rachel graduated from BSC in 2007 and began her graduate training in August 2007, where she worked under Drs. Holly Orcutt, Michelle Lilly, and Kathryn Bell. Rachel is a former member of Dr. Michelle Lilly’s Trauma Laboratory. Her research predominantly examined intervening variables that predict intimate partner violence perpetration and adverse mental health outcomes following trauma, with a specific focus on the roles of emotion regulation, anger, and substance abuse. Her thesis project investigated the effect of alcohol expectancies on IPV perpetration, and her dissertation was a longitudinal study examining the relationship between risk recognition, PTSD, and IPV victimization. She successfully defended her dissertation in June 2014. 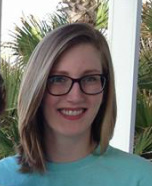 Rachel has completed an APA-approved internship at Central Alabama Veterans Health Care System and graduated from the NIU Clinical Psychology graduate program in August 2014.